NFRC, originally named Children of Separation and Divorce (COSD), began as a project of the Family Life Center in 1983. The Family Life Center was a nonprofit mental health center whose mission was supported by James Rouse. With Family Life Center’s blessing, COSD grew and spun off as its own 502 C3 in 1991, pioneering co-parent education in the state of Maryland. NFRC was founded by two clinicians, Barbara Mandell and Risa Garon, who saw an increasing number of families experiencing separation/divorce and the often devastating effects on families. There were no services at the time: no unified child support, no programs or services for children or family coordination. NFRC developed programs for lawyers, mental health professionals and judges to try to work together to coordinate their work based on client needs. The Peer Counselor program was developed after NFRC’s very first children’s group. Children and teens, ages 6-18 reached out to each other, didn’t feel alone anymore and asked to continue meeting as a group, eventually creating a peer counselor program for children and adults. 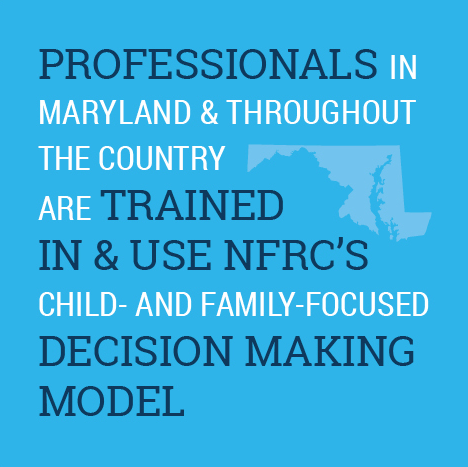 NFRC has retained the same model that was developed 29 years ago and continues to see growth and success. Since the development if this initial program, peer counselors have received three Volunteer of the Year Awards from Howard County. 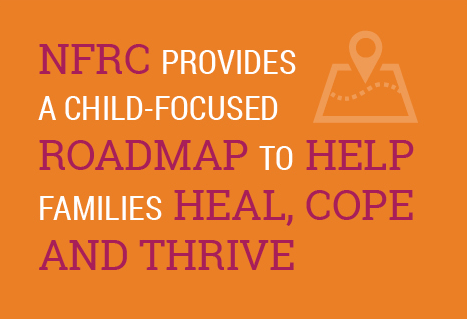 NFRC has helped over 30,000 individuals and families resolve conflict, co-parent, and make child-focused decisions during family transitions.